DraftKings and FanDuel are both pretty much broke according to a new report in the New York Times. 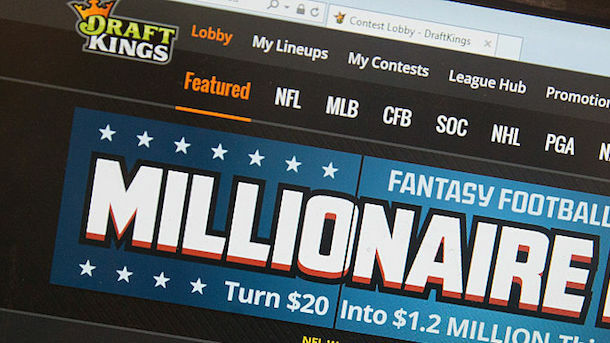 The controversial daily fantasy sports juggernauts are close to reaching a settlement with New York state attorney general Eric T. Schneiderman that will see them pay somewhere between $8 million and $12 million complaints of false advertising. But as it turns out, the hundreds of millions of dollars the companies spent on those ubiquitous false advertisements have left them short on cash. In fact, the companies are so short on cash that they’ve asked to pay the relatively small settlement in instalments. According to the report, DraftKings and FanDuel will seek to make a merger happen as soon as possible, which will help cut down their costs. However, that alone won’t save them. They’ll still need to secure a large infusion of cash. And that might be hard to find, seeing as how both company has already raised and spent billions from venture capitalists. The lesson: don’t spend hundred of millions on advertising if your business isn’t even legal in most states.